University of Chicago Press, 9780226351186, 562pp. 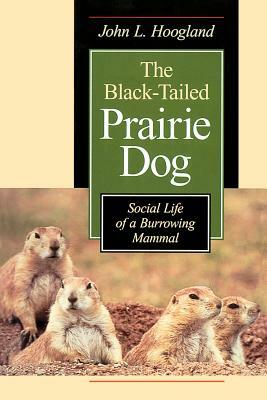 In The Black-Tailed Prairie Dog, John L. Hoogland draws on sixteen years of research at Wind Cave National Park, South Dakota, in the United States to provide this account of prairie dog social behavior. Through comparisons with more than 300 other animal species, he offers new insights into basic theory in behavioral ecology and sociobiology. Enhanced by more than 100 photographs, this book illuminates the social organization of a burrowing mammal and raises fundamental questions about current theory. As the most detailed long-term study of any social rodent, The Black-Tailed Prairie Dog will interest not only mammalogists and other vertebrate biologists, but also students of behavioral and evolutionary ecology.